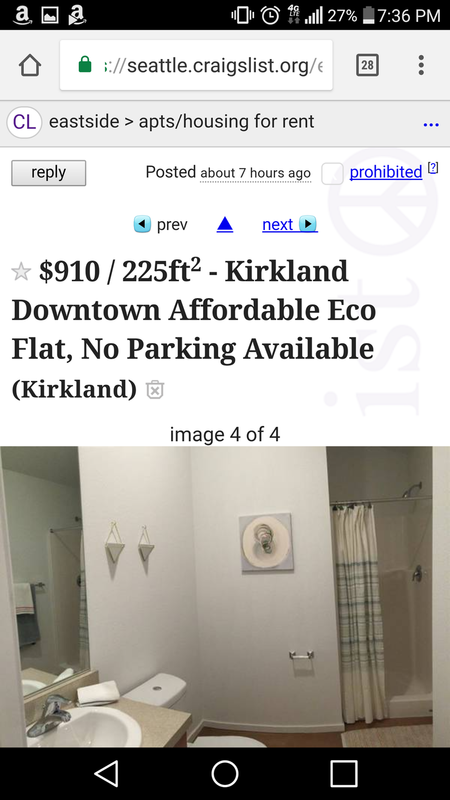 For a 200 square foot studio with shared bath, communal kitchen and no parking. Not even street parking. This is the housing situation near me, absolutely brutal. And despite the insane number of new housing developments, prices are only going up. Even the “cheap” areas are now well beyond affordable. It’s a major problem when double the minimum wage—in a state with one of the highest minimum wages—is not enough for even a small apartment. Anyone smarter than I that sees a solution for affordable housing..?